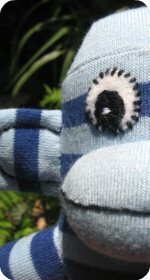 Sock monkey stuffed animals, learn how to make your own funky sock monkey toy. 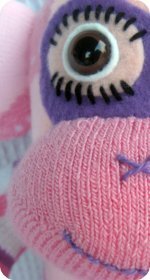 Grab some sock monkey socks, follow the basic monkey pattern and you'll be hugging your socks in no time at all. Make monkey animals body, arms, tail and mouth using the basic monkey pattern, but cut out the tail first and line up the red line on the sock so it is down the center of the tail. Cut the rest of the body parts with the remaining sock. Eyes: Stitch on two small black buttons with white embroidery thread backed with white felt circles. White felt on a white sock is particular ineffective so I'd actually recommend a contrasting color. The small black buttons create peedy little eyes, I found this guy looks much nicer when he is wearing glasses. 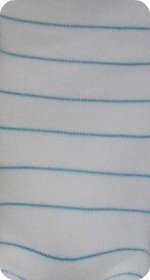 Ears: Cut one ear so the notebooks lines are horizontal and the other so the lines are vertical. 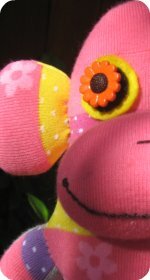 His ears are embroidered with white thread and are not stuffed. 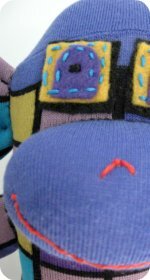 Stitch on a mouth with the red embroidery thread. Tail: There is a picture of the back of this little monkey because I wanted to show you his tail. He's a great example of why you'd sometimes want to plan where you are cutting your body parts from before going ahead and just following the basic sock monkey pattern. The aim was to get the red line to travel down the center of this monkey dolls tail. 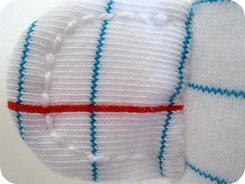 If the sock was cut exactly as the pattern suggests, the red line wouldn't be in the center. This sock monkey doll really needs some hair or some other accessories to bring him to life.Maybe a hat might do the trick, he just seems a bit bare as he is. 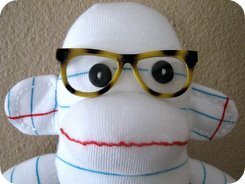 I decided to make a monkey out of a pair of pencil socks, I figured they make a cute pairing. 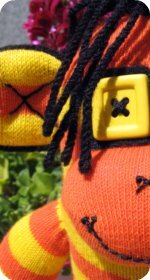 TIP: If you are inclined to line up certain patterns on your socks (like above), it really does add a personal and loving handmade touch to a stuffed animal toy. Although depending on the socks you use, it may or may not be an option.